Schools, colleges, universities and training institutions often have a large number of multimedia projectors installed in classrooms, lecture halls and training rooms. These projectors require new replacement projector lamps quite frequently, since the lamps inside are used regularly. To reduce the cost of replacing projector lamps for university, school and college Purchasers and AV Technicians, Projector Lamps Canada offers special education discounts to support our Canadian education institutions. All education organizations automatically qualify to receive our special education projector lamp discounts. Schools, colleges and universities purchasing a large number of replacement projector lamps will receive steeper discounts. If you are from a Canadian education organization, we want to be your number one replacement lamp supplier! 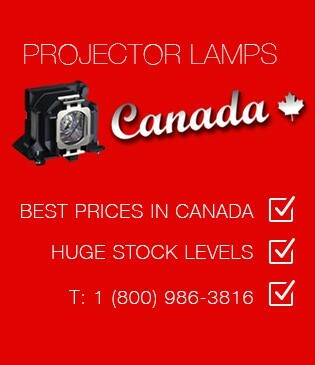 We have built up a large customer base of satisfied education buyers and purchasers by consistently offering the lowest Canadian lamp prices and the best included warranties for projector lamps. If you’ve been quoted lower prices on any replacement lamp, tell us and we'll beat the price.